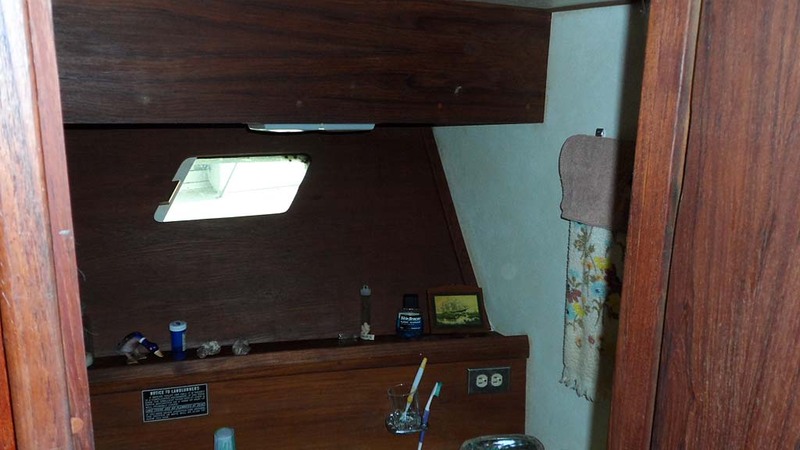 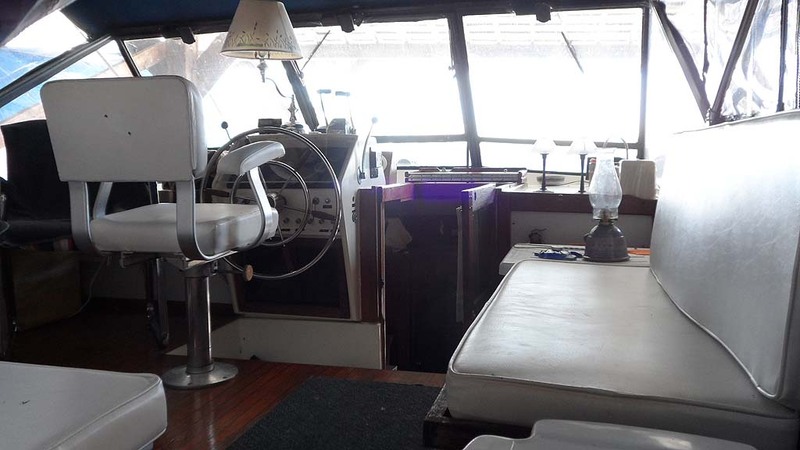 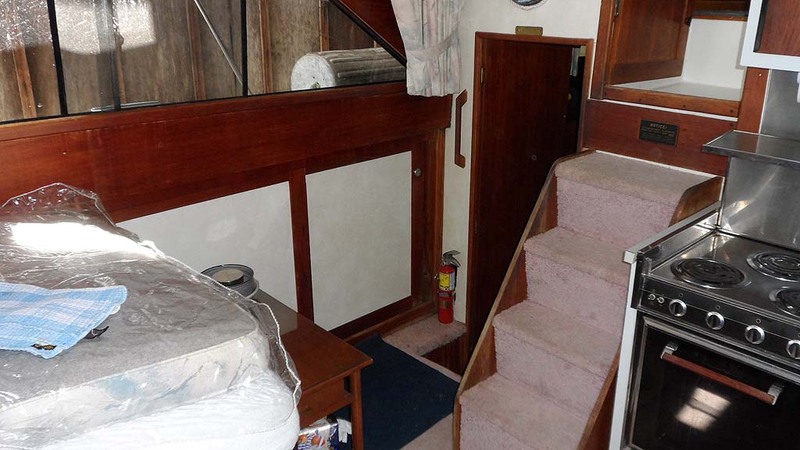 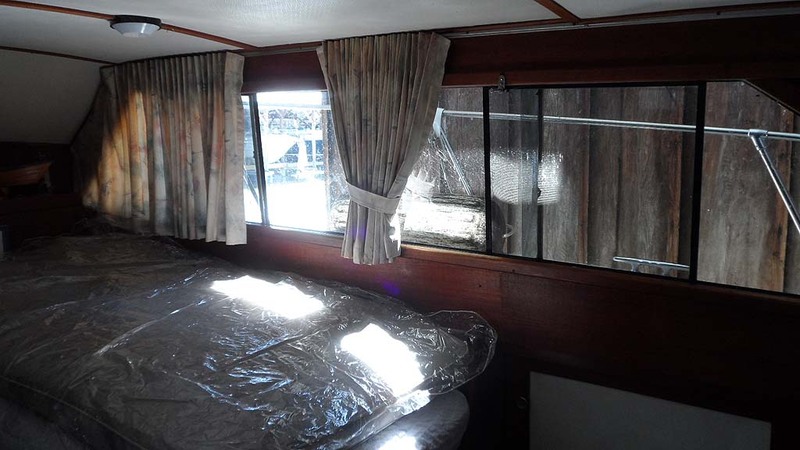 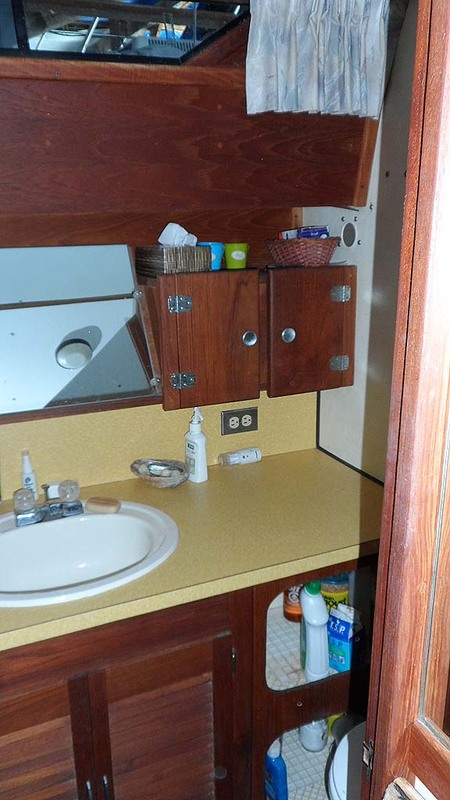 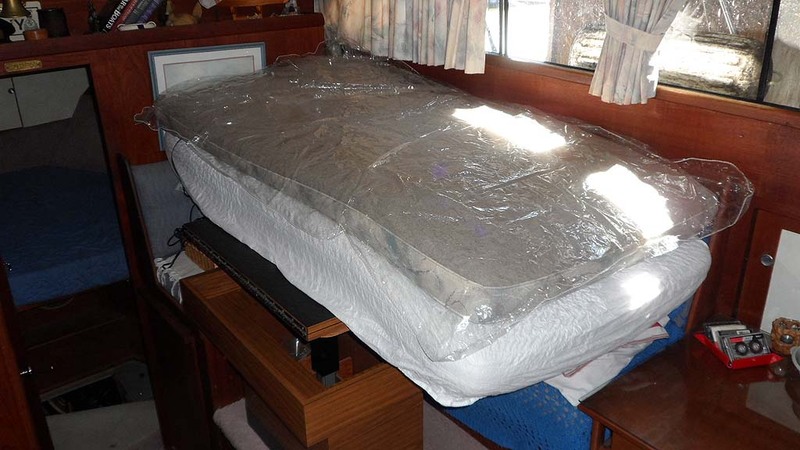 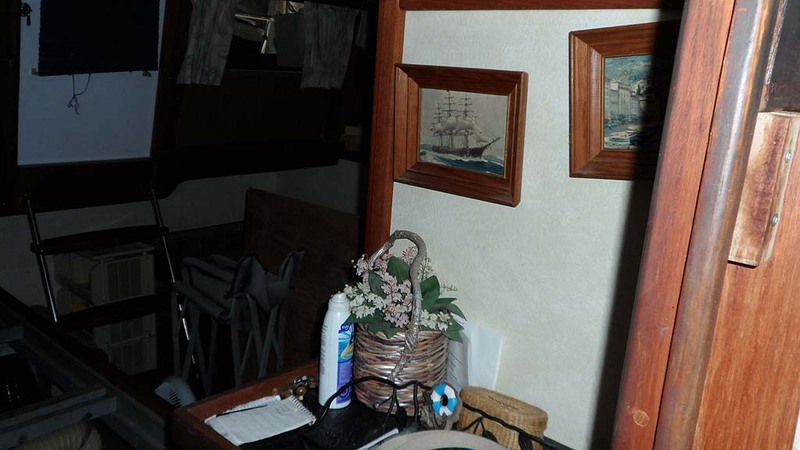 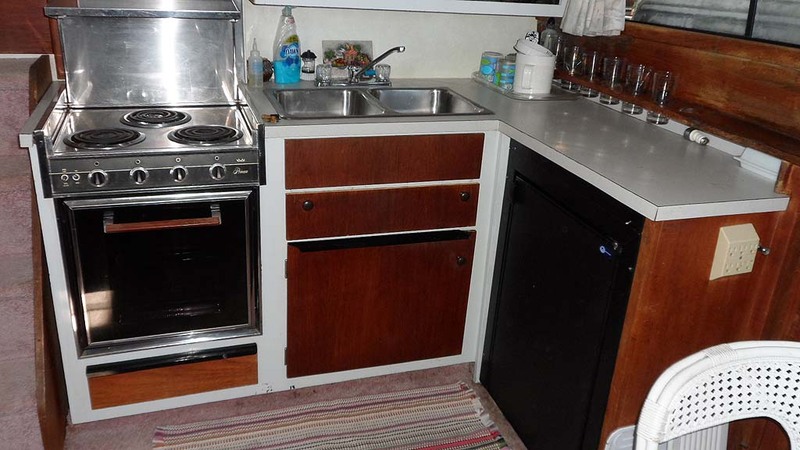 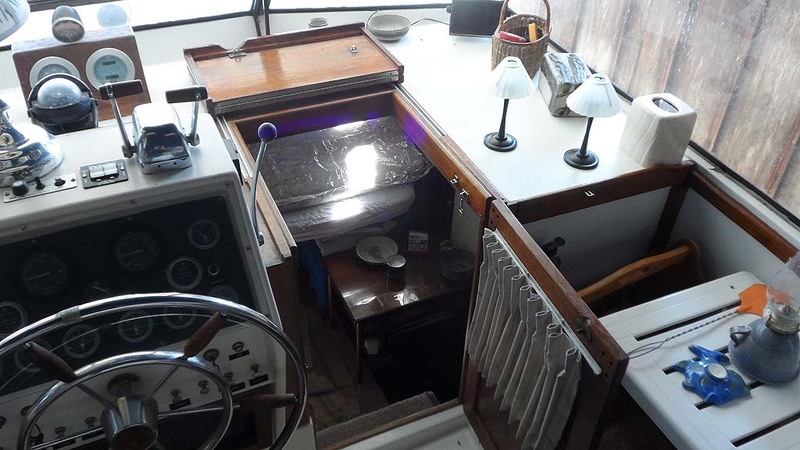 1974 TROJAN 36 FOOT TRI CABIN MOTOR YACHT OR LIVE ABOARD FOR SALE IN THE COBOURG AREA EAST OF TORONTO, ONTARIO, CANADA SIMILAR TO THE 1975 AND 1976 TROJAN F36 LIVEABOARD MODELS. 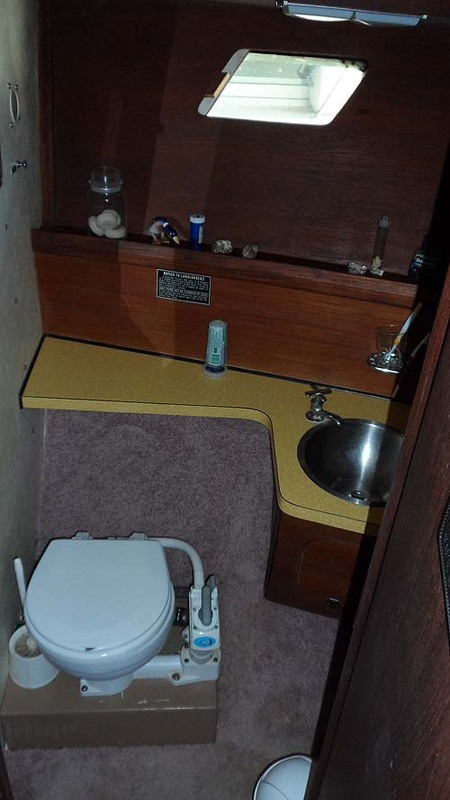 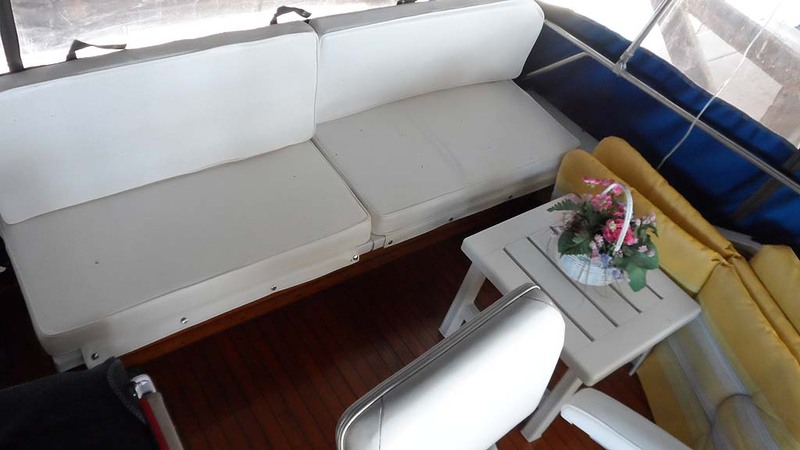 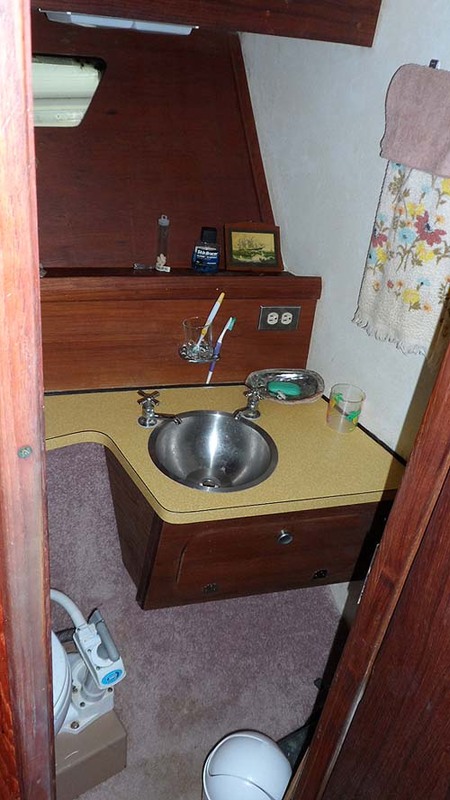 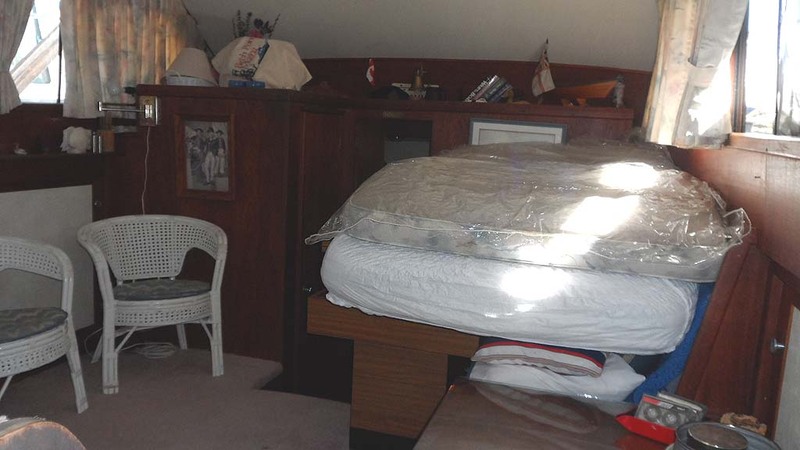 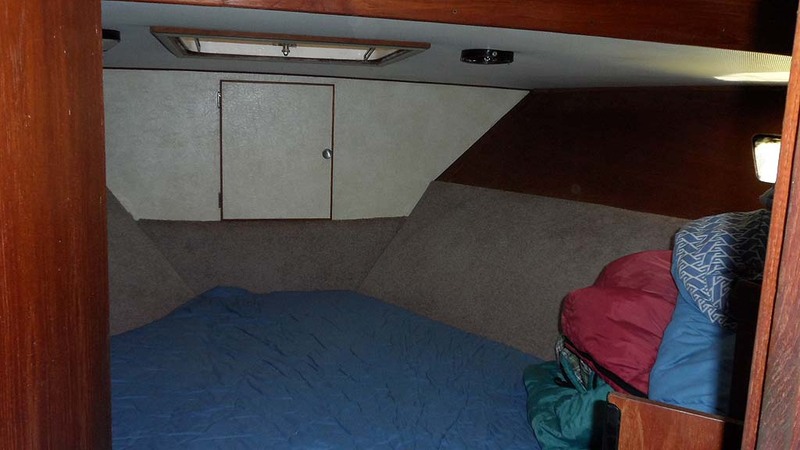 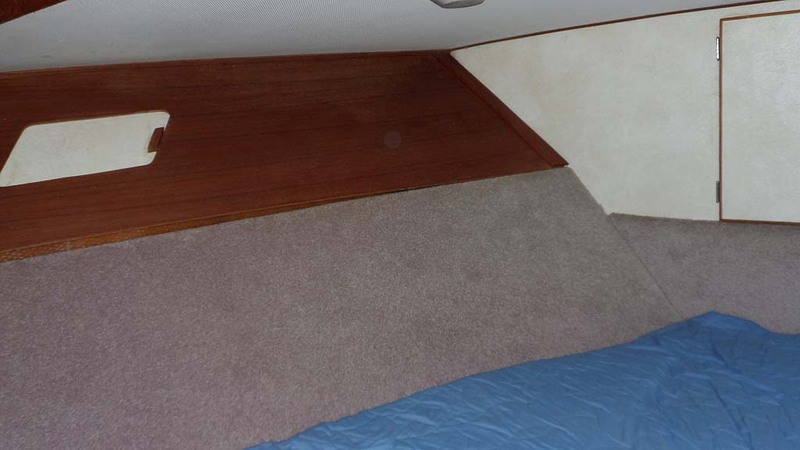 The 1974, 1975 and 1976 Trojan 36 Tri Cabin has for years been an extremely popular liveaboard motor yacht in many Ontario marinas. 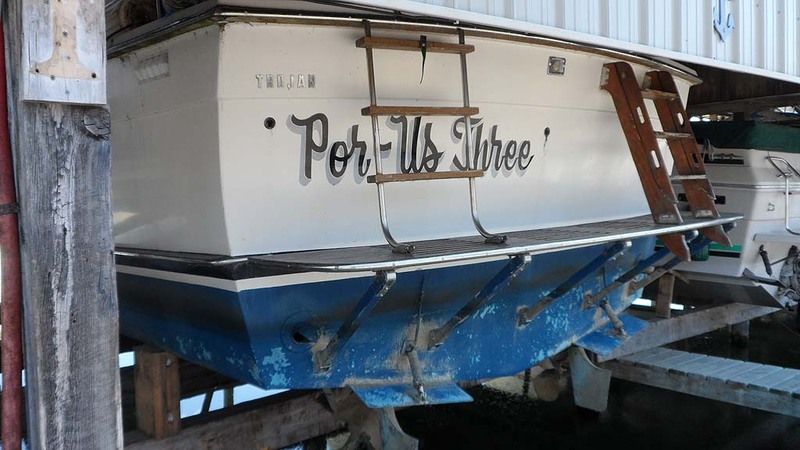 All 3 years are virtually identical. 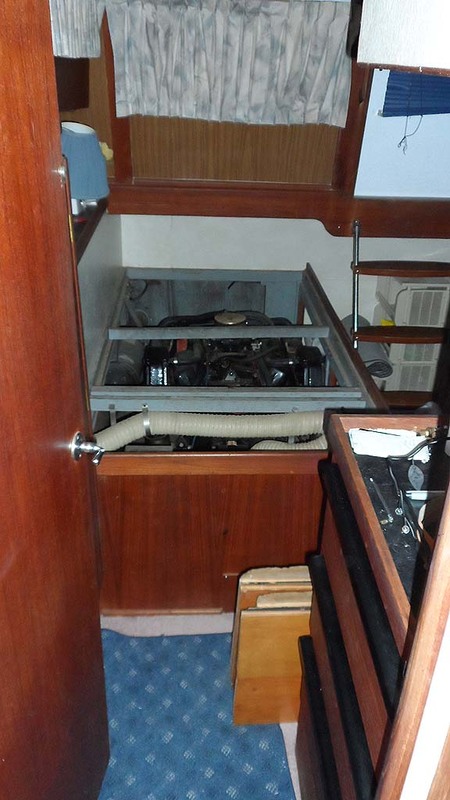 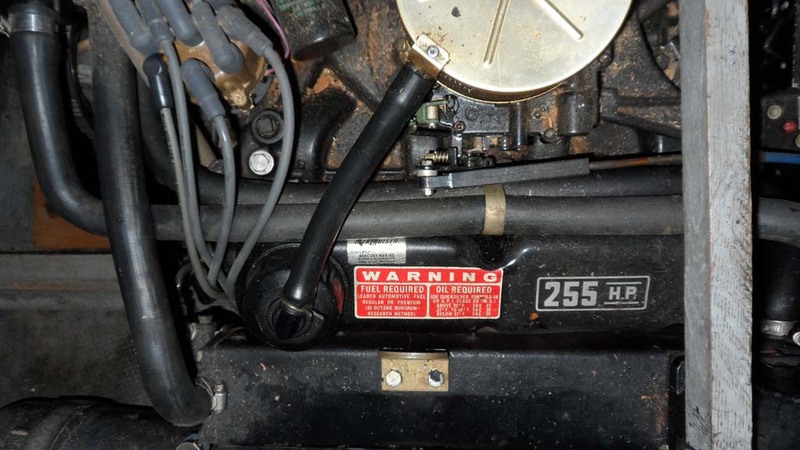 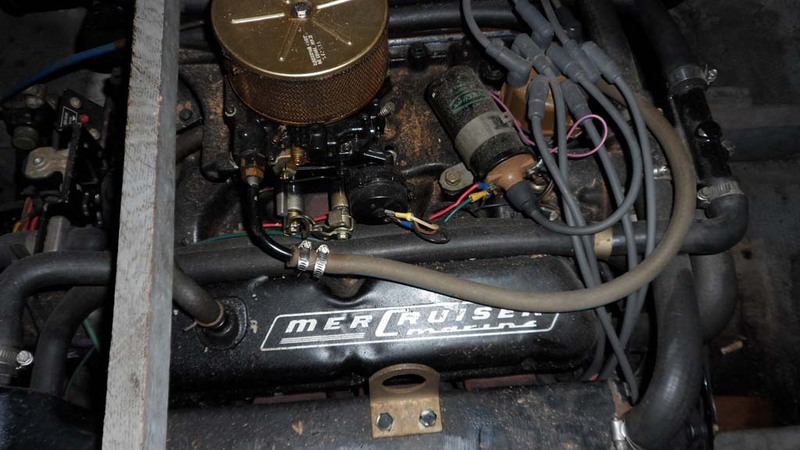 The engine hour meters show about 1,800 hours but the marina storing the boat will confirm engine overhauls just a few year ago ... and very few hours since. 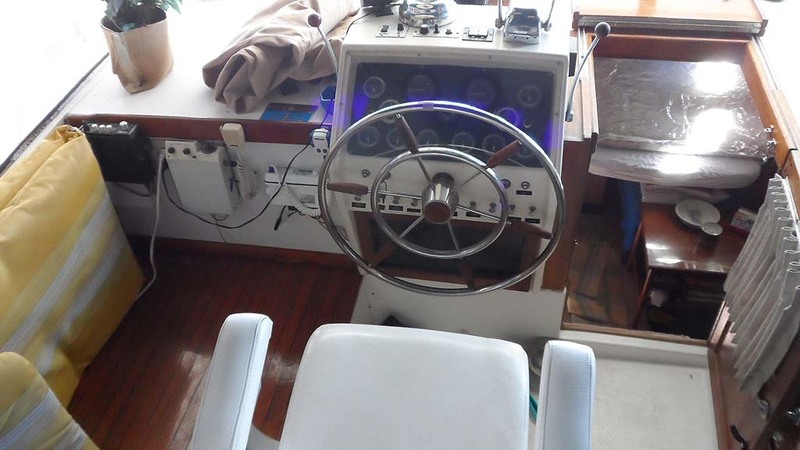 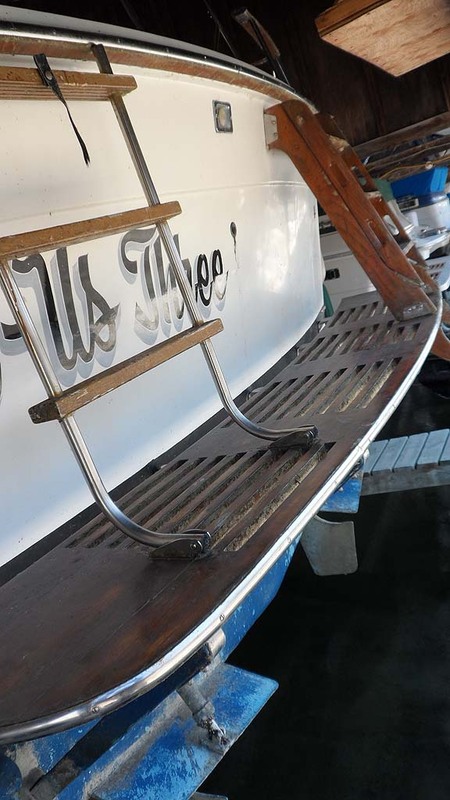 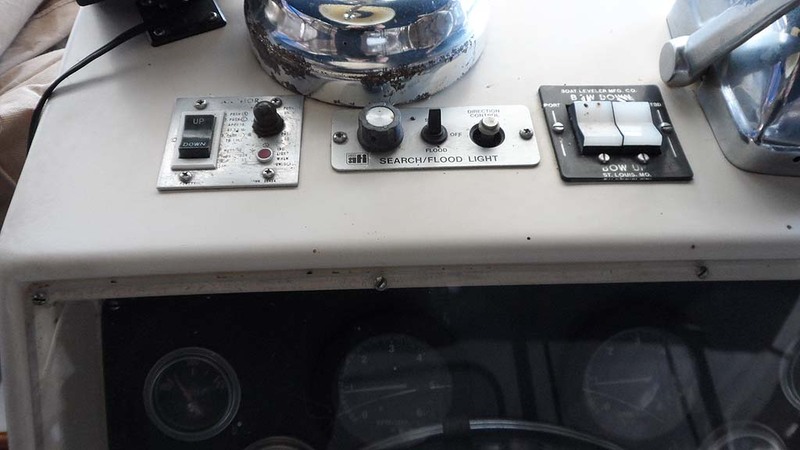 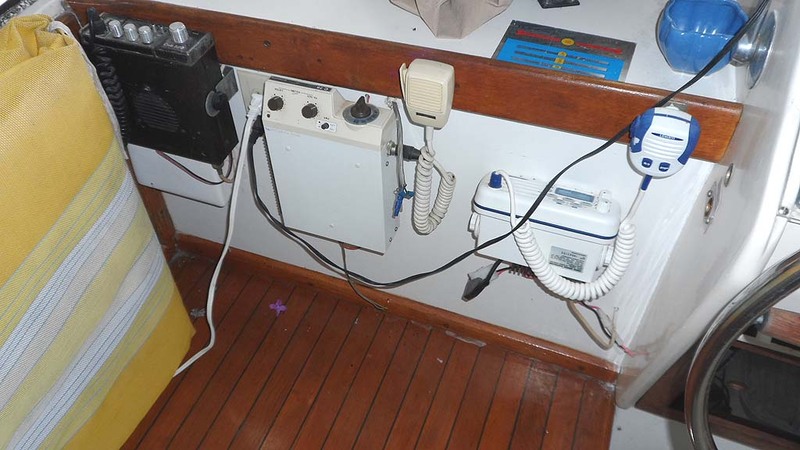 This boat is similar to the F36 models but the helm has fewer steps to climb to get to the helm station. 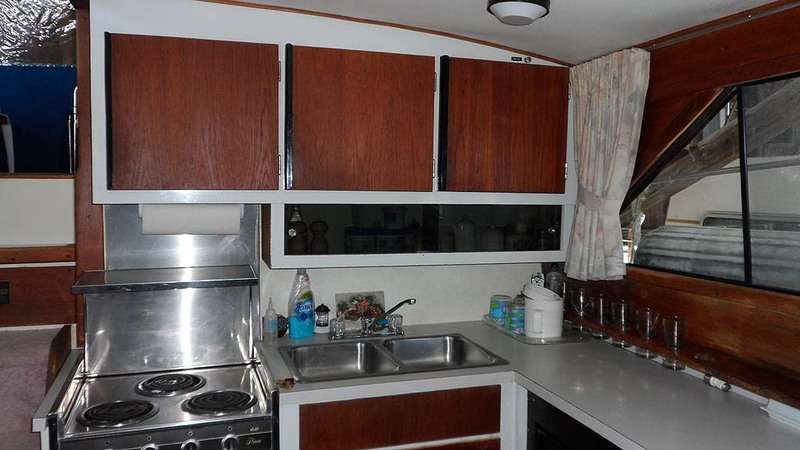 The photos on this listing page are from 4 years ago. 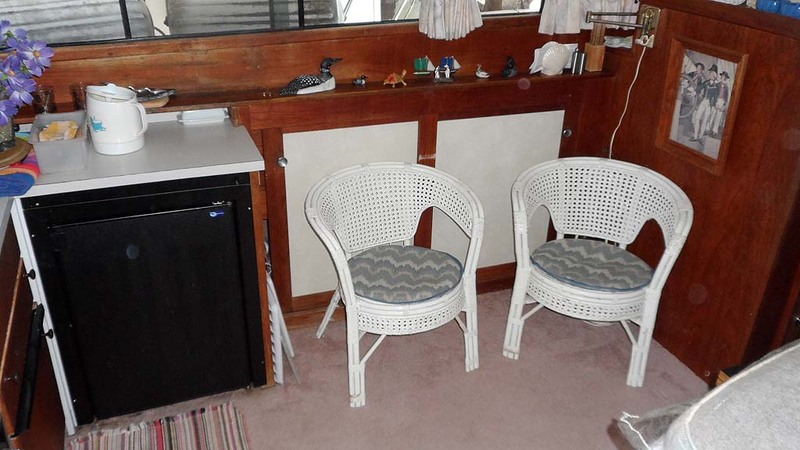 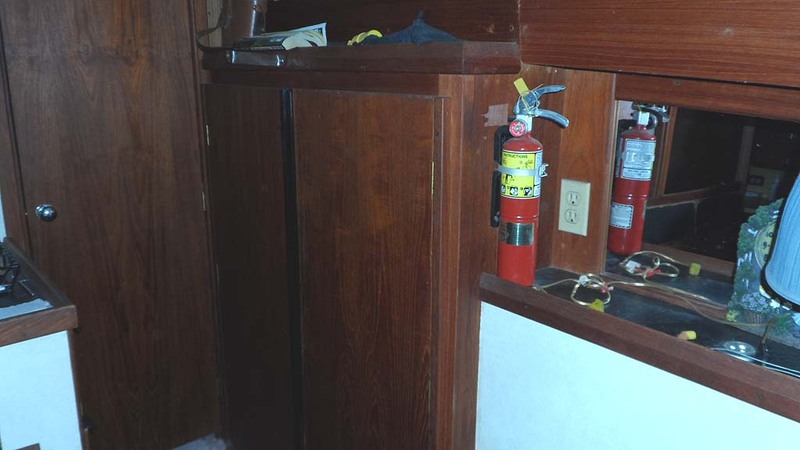 Several upgrades have been done to the cabins ... and we will have new photos posted in the next few days. 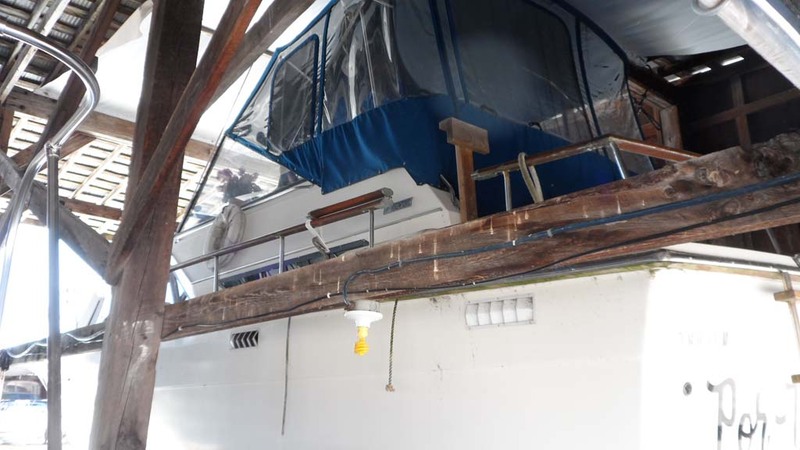 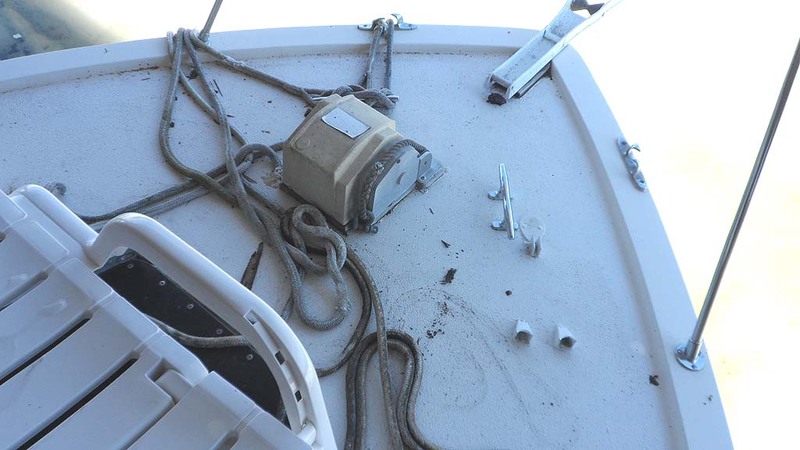 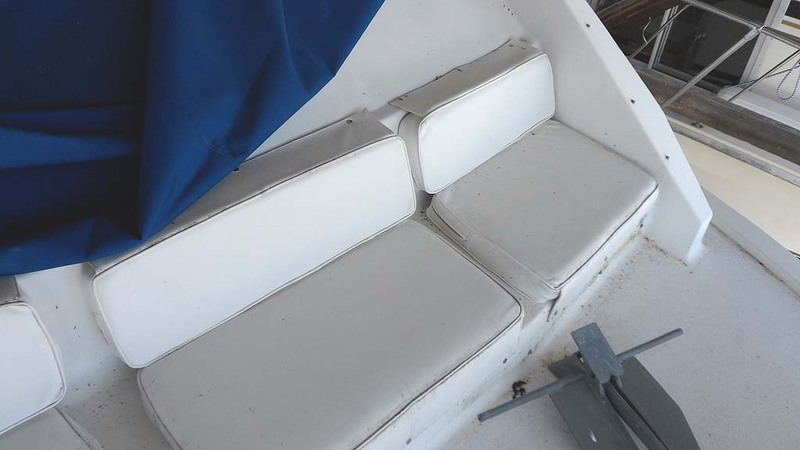 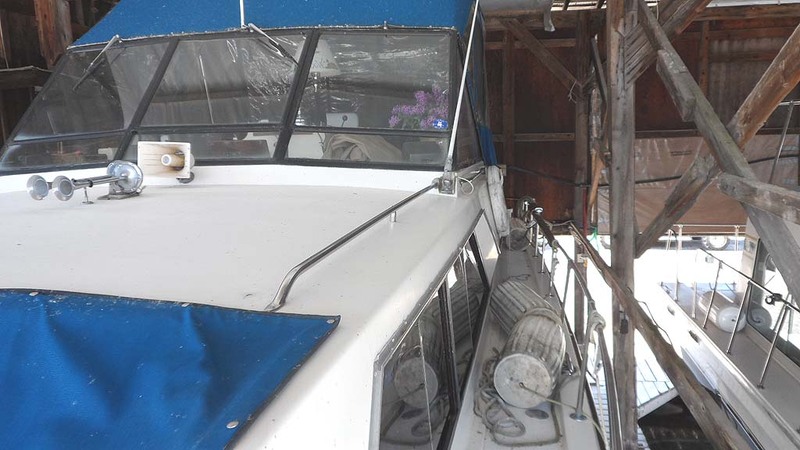 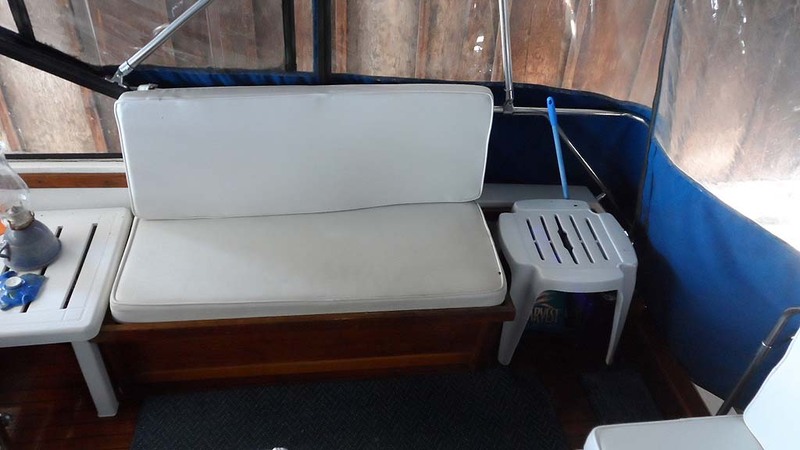 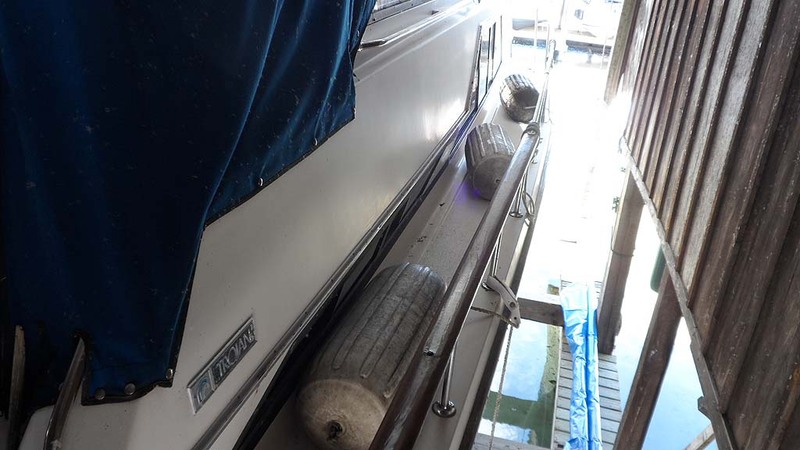 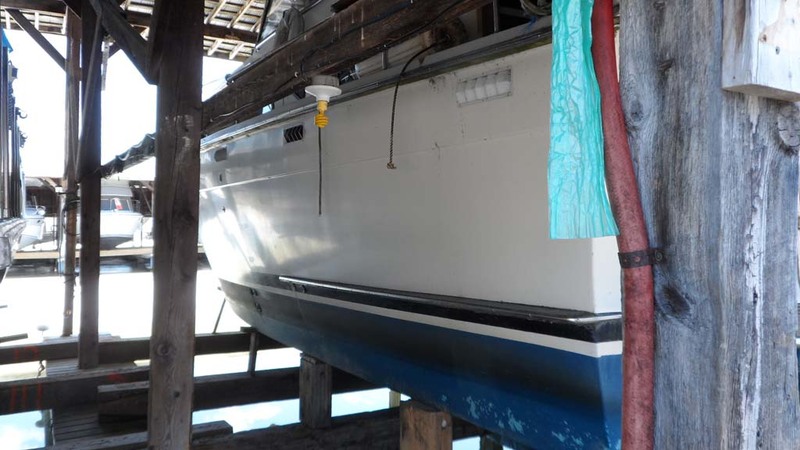 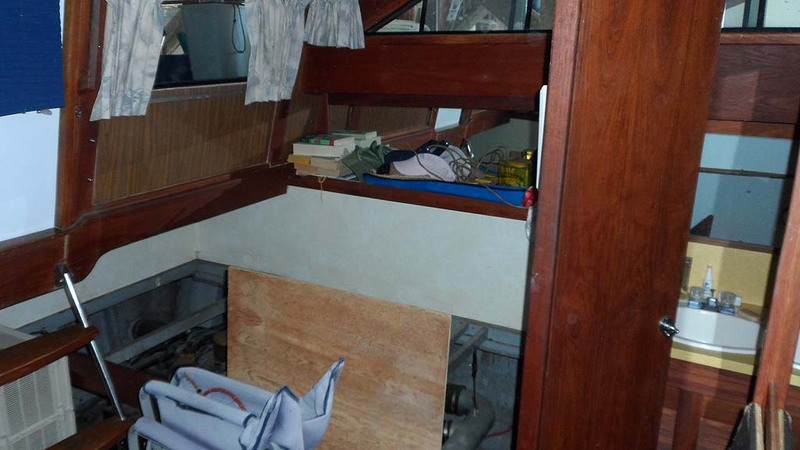 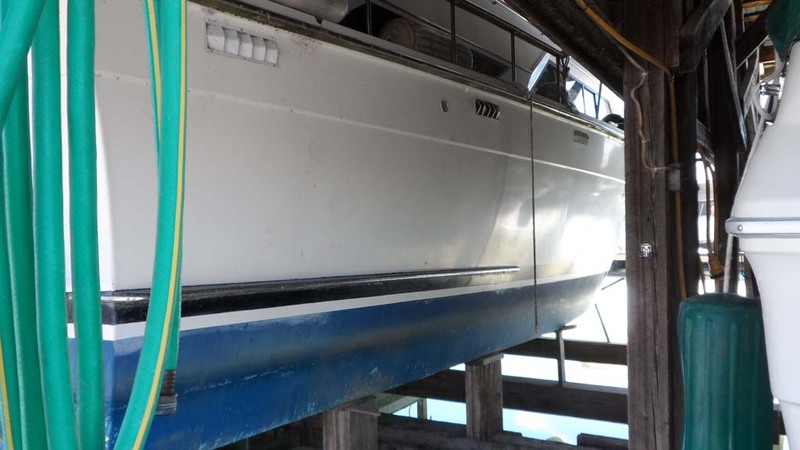 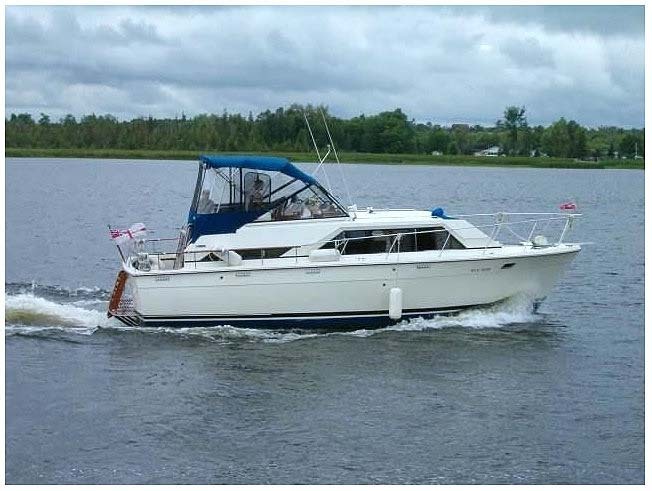 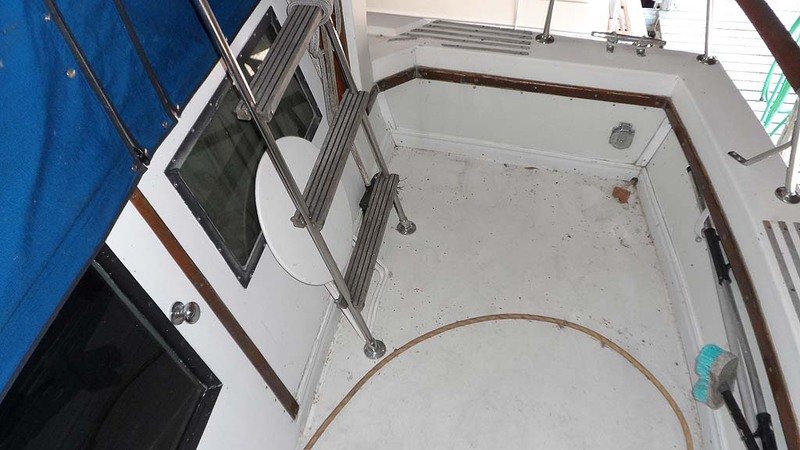 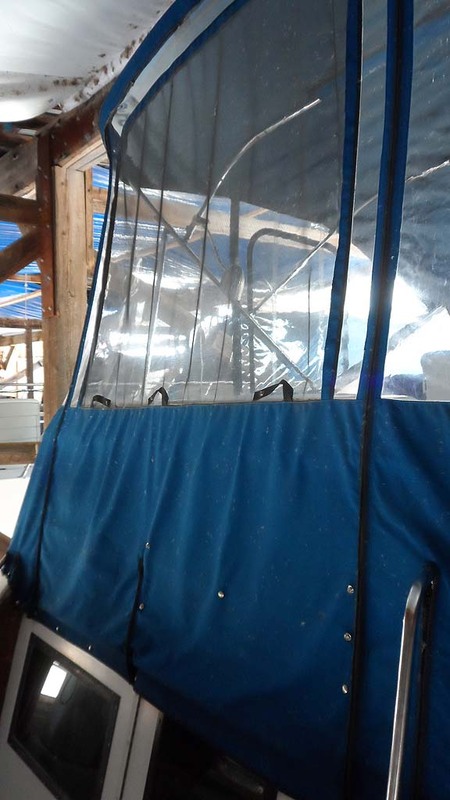 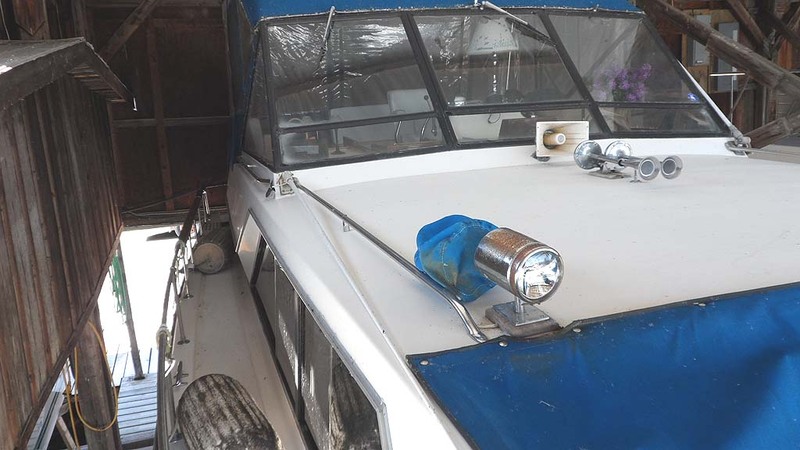 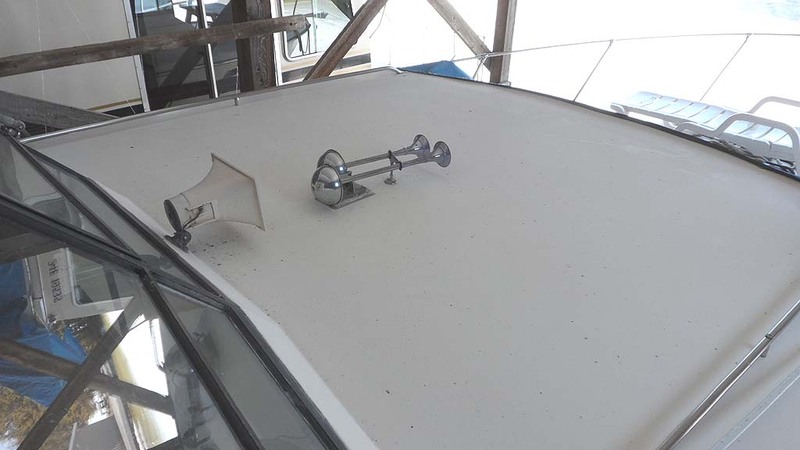 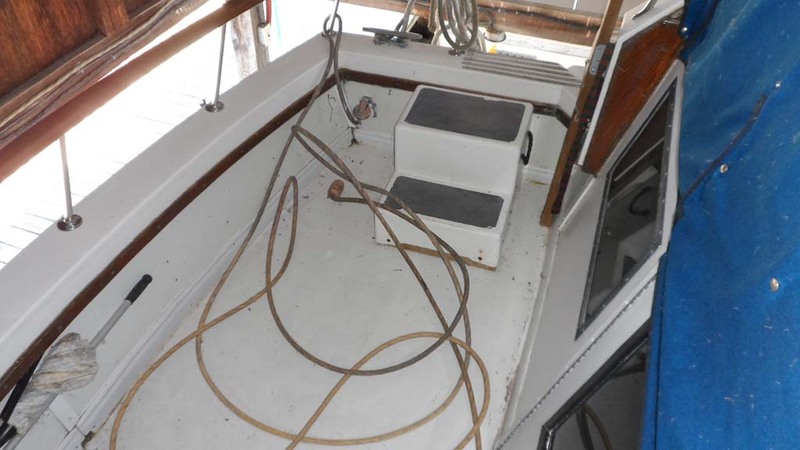 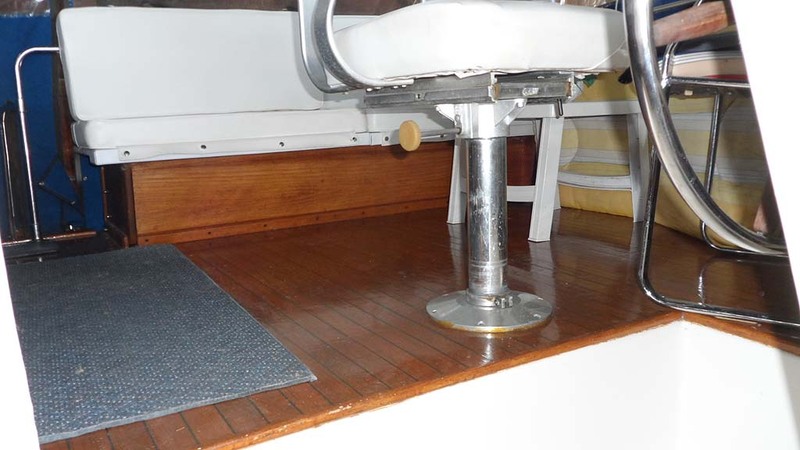 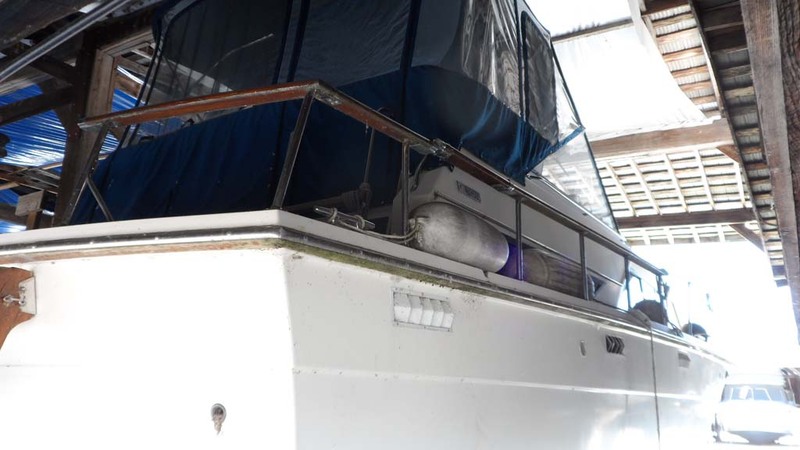 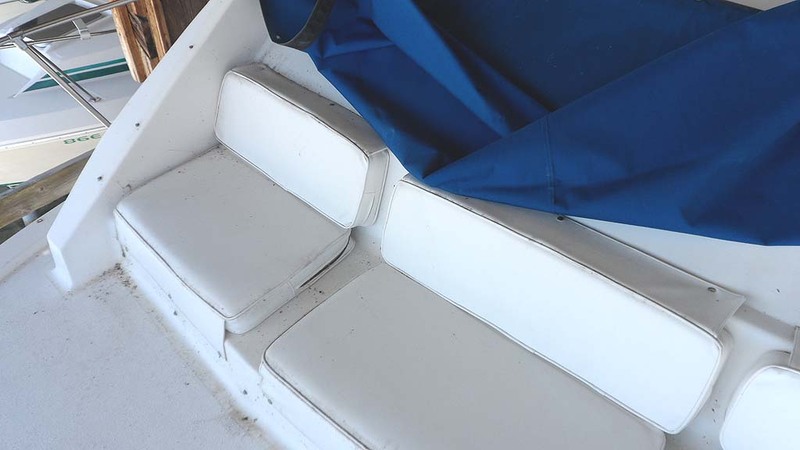 Arrange for your personal inspection of this boat by calling 613-227-2628 or emailing murray@ontariomarinebrokers.com . 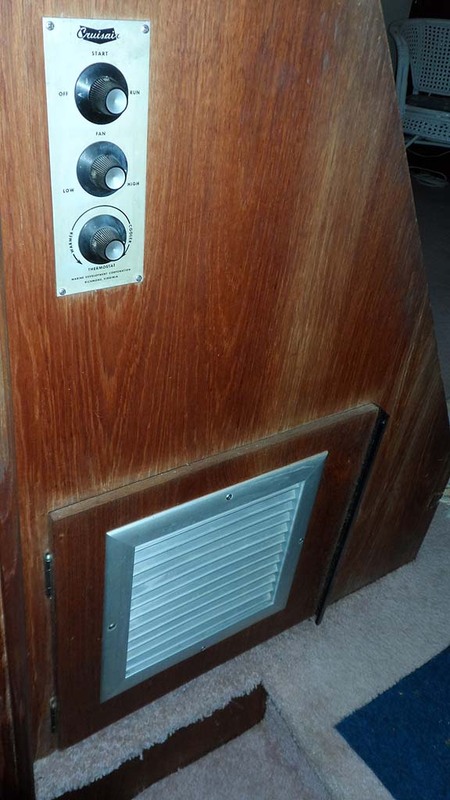 Shower In Rear Head A Good Size, Clean ... 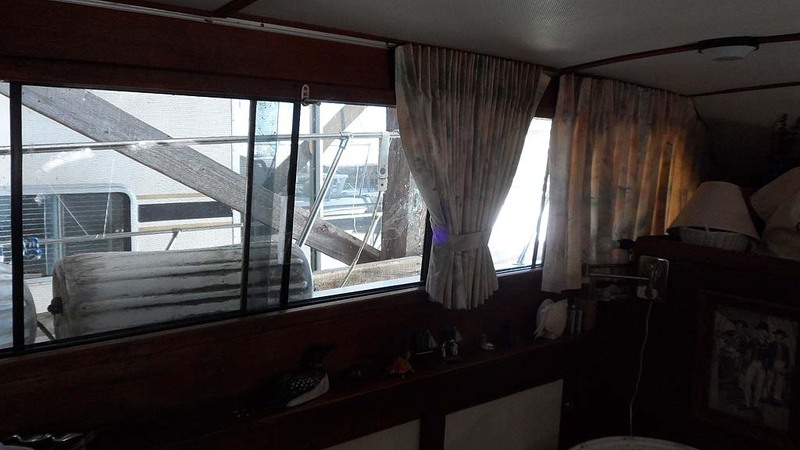 But We Could Not Manouver To Get A Good Photo Of It. 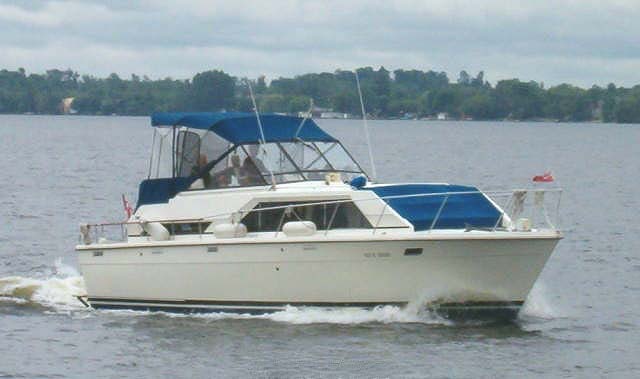 Peterborough, Brighton, Trenton & Belleville areas from our slip in Trent Port Marina in Trenton east of Brighton and west of Belleville or our home in Ajax, Ontario.